Oregon is a relatively relaxed state for poker players. There is already regulation in place for online poker, making it illegal for operators to transfer money back and forth to players. But that doesn’t stop players from playing online. It’s legal to play in home games, too, as well as participate in poker games spread in casinos all throughout the state. So while there is room to improve, it’s not as if Oregon’s laws are as crappy as, say, Utah’s. 167.122 Unlawful gambling in the second degree. (2) Unlawful gambling in the second degree is a Class A misdemeanor. We say ‘unlikely’ simply because this would have to be enforced. Based on our research and experience, online poker players aren’t searched out for illegal gambling. So while you still play at your own risk, the risk of getting in trouble is probably slim to none. Especially considering how relaxed Oregon is in regards to other forms of gambling. Social gambling or ‘home poker games’ are legal. In fact, you’re not even considered to be a player or to be ‘gambling’ under state law. Furthermore, there are counties in Oregon that allow businesses to run social games. 167.121 Local regulation of social games. Counties and cities may, by ordinance, authorize the playing or conducting of a social game in a private business, private club or in a place of public accommodation. Such ordinances may provide for regulation or licensing of the social games authorized. Do Casinos in Oregon Offer Poker? Yes. Most tribal casinos in the state offer poker games. Texas holdem is most common, followed by omaha and 7-card stud. Here are some of the casinos in the state that offer poker games. What’s nice about some of these casinos and hotels is that they’re located at various beaches along the Oregon coast. We receive a lot of questions about the poker being legal in the state of Oregon. We thought it would be helpful to post those questions and answers here for everyone to benefit from. Will online poker be regulated in Oregon? It’s already regulated on some level, making it illegal for operators of online casinos to accept money from players. Based on our research we would conclude that it’s a 50/50 chance of Oregon (positively) regulating online poker. They have a relaxed stance on most forms of gambling, yet the one obstacle they’d undoubtedly face are the tribal casinos. The tribal casinos would fear losing revenue if the state opened the doors to regulated online poker. So only time will tell. Is there an online poker room that accepts players from Oregon? Residents of Oregon can sign up to any poker site that accepts US customers. This includes sites like BetOnline, Bovada and Sportsbetting Poker. What other forms of regulated gambling is offered in Oregon? Oregon runs a state lottery, para-mutual wagering, charitable and table games. Where can I read more about Oregon poker laws? 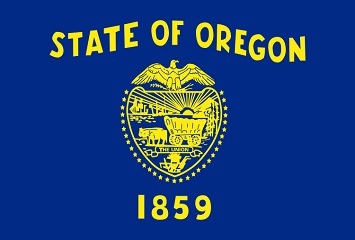 Here are some interesting facts about gambling, poker and the state of Oregon. Cheating, even in an illegal game, is a crime. The person that commits the crime faces being charged with a class C felony. Players who lose money from illegal gambling have the ability to attempt to recover twice the amount that they lost.